Toivo Kuula was a popular Finnish composer of vocal music, a colourful and passionate portrayer of Finnish nature and people. Born in the city of Vaasa (in those days Nikolainkaupunki), when Finland still was a Grand Duchy under Russian rule, Kuula died in the provincial hospital in Vyborg in 1918 at the age of only 35, after being mortally wounded 18 days earlier on Walpurgis Night. The bullet was fired as a result of a quarrel that happened in front of Hotel Seurahuone in conjunction with the first victory celebration of the white victory in the Civil War of Finland. 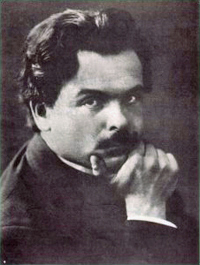 Hence Kuula is frequently described as the 'tragic Romantic in Finnish music'. On the other hand, the description also captures something of the flavour of his music, which is often replete with brooding pathos and overflowing sentiment. Kuula went on study trips to Italy, Germany and France and developed an interest in the Impressionism of Debussy. There are fleeting touches of Impressionism in his music, but for the most part his style is a flowing, nationally tinted brand of Romanticism. Kuula was also an active collector of folk music and occasionally used folk tunes in his works. He made his breakthrough with two extensive and tempestuous chamber music works, the Violin Sonata in E minor (1907) and the Piano Trio in A major (1908). Before these, he had written a few solo songs - Syystunnelma ("Autumn Mood", 1904) and Aamulaulu ("Morning song", 1905) - that have since become classics. Some of Kuula's later songs have also remained in the core repertoire. Perhaps the best-known of these is Tuijotin tulehen kauan ("Long I Stared into the Fire", 1907), which somehow captures the essence of his solo songs: the music begins in a static meditation, escalates to a powerful climax and then returns to the brooding mood of the opening.